Khloé Kardashian’s home is so familiar from the countless times I’ve seen it on television that being here feels surreal — or even hyper-real. High in the hills outside Los Angeles, it’s all pristine white furniture and dark wooden floors. There are lit scented candles on every surface as well as bowls of M&Ms. Hits by Earth Wind & Fire and Anita Baker play in the background. These are heady times for the 32-year-old. 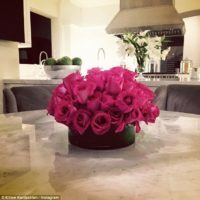 Quite aside from the continued phenomenal popularity of Keeping Up With The Kardashians — now in its 13th season chronicling the lives of Khloé, her elder sisters, Kim, 36, and Kourtney, 37; their mother, Kris Jenner, 61, and step-parent, Caitlyn Jenner, 67; and half-sisters, Kylie, 19, and Kendall, 21 — she has managed to build a mini-empire of her own. There’s a bestselling book, Strong Looks Better Naked, recounting her struggles with weight, relationships and self-image; a TV show, Revenge Body, which sees participants lose weight before showing off their transformations to their exes; and the Khloé Kardashian app, featuring behind-the-scenes photos, videos and fitness tutorials, among other projects. And then there’s her new denim brand, Good American, co-created with London-based businesswoman Emma Grede, which has just landed in the UK. When it launched in the United States last autumn, it broke records, making $1 million in sales on the first day. While a celebrity fashion tie-up may not sound like the most earth-shattering concept, Good American, explains Kardashian earnestly, is different (or, as she puts it, ‘revolutionary’). Which is not to say living her life on camera hasn’t taken its toll. Last season ‘there was so much darkness, whether it be a divorce or my stepfather transitioning’. 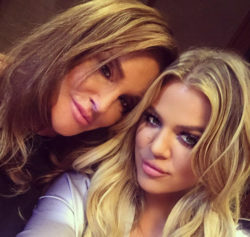 Kardashian admits that she found the decision of Olympic gold medallist and father of Kylie and Kendall, Bruce Jenner — now Caitlyn Jenner — to come out as a transgender woman difficult to deal with. She does say, though, that the robbery resulted in the family bonding in a new way. Kris Jenner, of course, is widely seen as the driving force behind KUWTK. Kardashian was in her early 20s when it first started in October 2007. Does she ever get tired of the relentless attention it has brought? She also has to deal with ‘naysayers, the bloggers who would call me fat. 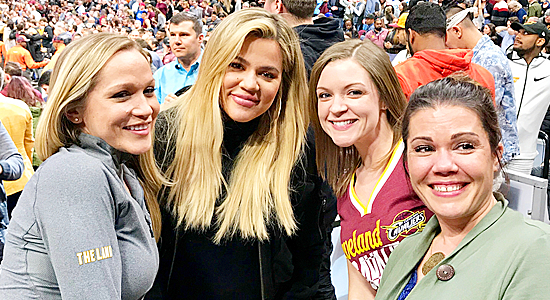 Now, they’re like, “Gorgeous Khloé!” I’m like, “No, I was gorgeous either way”.’ At a recent appearance to promote Good American, Kardashian was as usual besieged with fans and well-wishers. Kardashian is a regular churchgoer and along with the whirlwind that fame brings she enjoys the simple pleasures of life. ‘On Sunday I had the kids here [her nieces and nephews]. We made vanilla strawberry jam.’ She likes to read, particularly spiritual books and is engrossed in ‘The Shack [by William P Young], about a man who loses his daughter and loses his way with God’. Financially, the four children had to support themselves, says Kardashian. I look at my watch: we’ve spent the entire morning chatting. ‘I talk a lot,’ says Kardashian cheerily, going upstairs to get changed for her next appointment, emerging a few minutes later immaculately dressed in Good American jeans, a leopard-print jacket and beige canvas ankle boots ‘by Kanye’. There are no immediate plans to walk down the aisle but she does say she has ‘never been in this type of love’. If he proposed, would she accept? ‘Yes I would.’ Spoiler alert? Only time will tell.